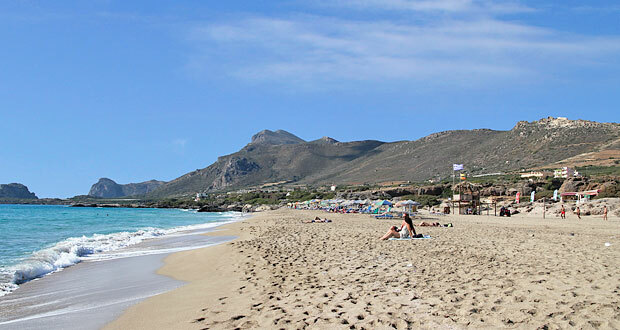 Falasarna beach is located on the west coast of Crete, approx. 11 kilometres by car west of the town Kissamos. 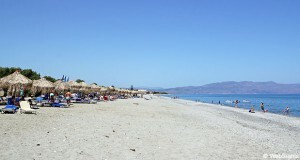 Falasarna is one of the most famous beaches in Crete and also one of the best. It has been selected one of the ten best beaches in Europe several times. 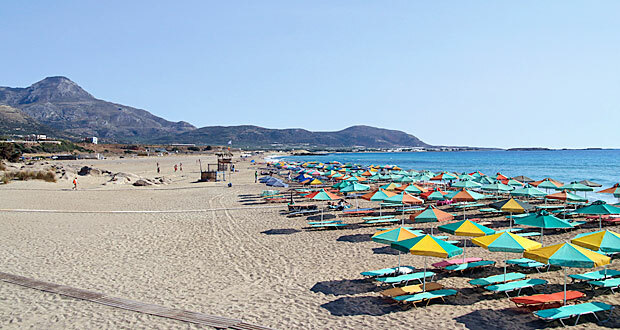 Falasarna actually consists of multiple beaches, the largest of them called Pachia Ammos. On the signs at the beach, it is also just called ‘Big Beach’. 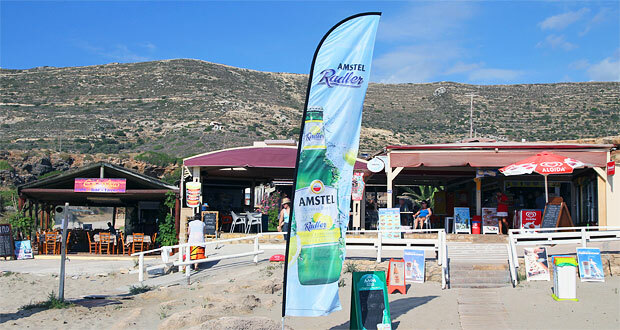 Pachia Ammos is one kilometre long and it has several sections with sun lounges, sunshades, showers and toilets, and this beach is also supervised by a lifeguard. This is also the beach with the most visitors. The other beaches have fewer visitors, but also have fewer facilities or none at all. The view of the sea and the mountains is incredible from all the beaches. When the wind blows from the west, which is not uncommon in Crete, Falasarna beach is fairly exposed to waves. The windsurfers love it; families with small children usually don’t. Naturists have a section to themselves, which is located just north of the main beach Pachia Ammos. Soft sand and lots of room to play. When the wind blows from the west, however, the waves may become too heavy for small children. There are no water sports activities at Falasarna beach. However, the winds are perfect for windsurfers. There are three cafés/restaurants at the beach, but there are also some not so far from the beach. Also note that there are often beach parties at Falasarna at night. Falasarna is not an actual holiday resort, but there are several private houses and a few hotels close to the beach. 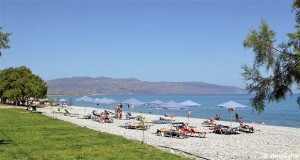 The largest holiday resort in the vicinity is Kissamos, which is located some 20 minutes by car from Falasarna. The much larger town, Chania, is located one hour away by car.